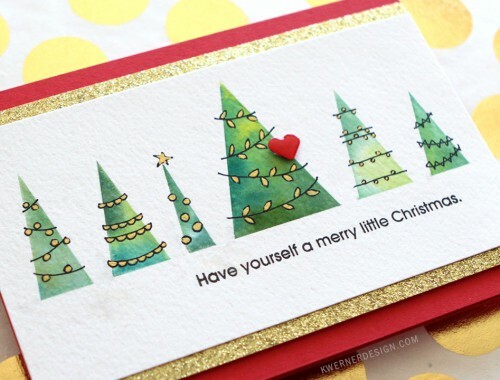 For my card, I turned the sketch upside down and created a super tall skinny card. 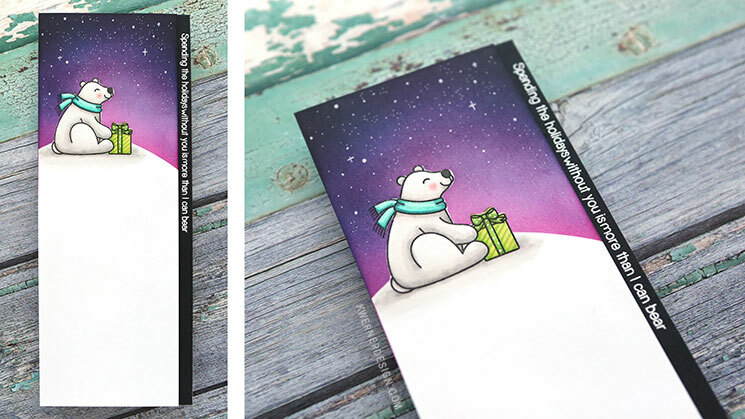 The finished card measures 3.5″ x 9″, which fits inside a standard #10 business envelope (although you could make a custom envelope for it, too). 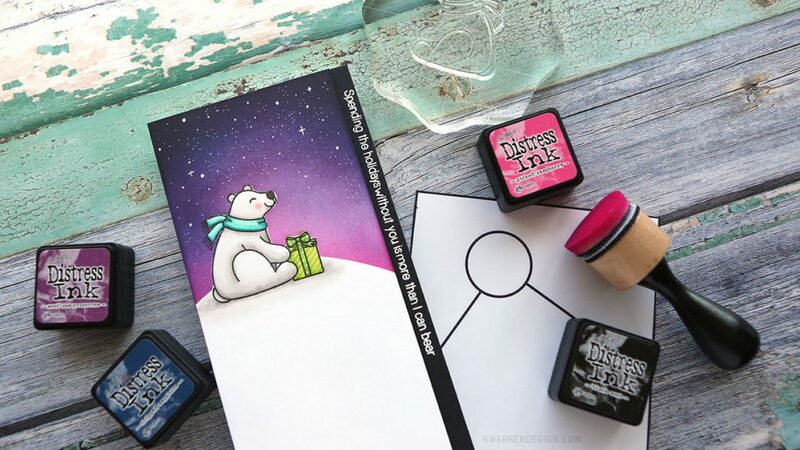 I stamped one of the cute polar bears and a gift package from the Playful Polar Bears stamp set in some black Copic-friendly ink and then masked the images so I could add some blending. To create a nighttime sky, I used four colors of Tim Holtz Distress Ink: Picked Raspberry, Seedless Preserves, Chipped Sapphire, and Black Soot. 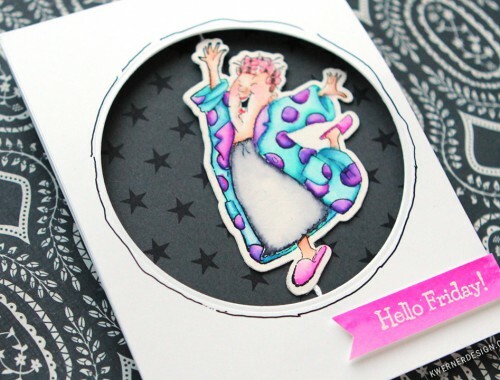 Anyhow, after the sky was created, I added itty bitty stars using a white gel pen. The bear and present were colored using Copic Markers. Be sure to watch the video to see the color numbers on screen. I added a greeting to card by stamping some words from the stamp set in VersaMark ink and white heat embossing them on black card stock. The winner will be randomly selected and added to my Giveaway Winners page after October 6, 2017. Winner will be contacted by email so be sure to include an email address you check often. Winner will have 48 hours to claim their prize. Thanks!